These colours shown are only a guide and you must not feel restricted by them. 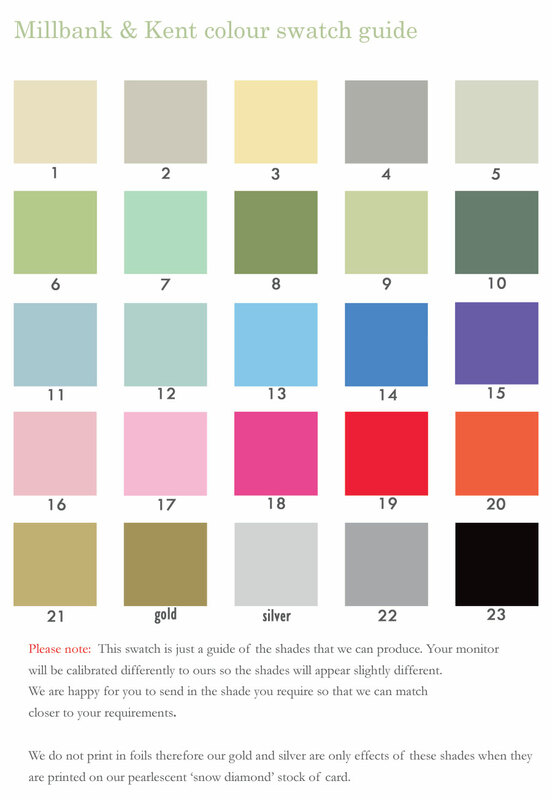 You are welcome to send us a sample of the colour you are wanting to achieve and we will colour match to it if possible. Colour matching of our stationery is FREE OF CHARGE. We regularly match stationery to the colour of the bridesmaids dresses as an example.